Season for rooftop bars in Europe! The season for rooftop bars in Europe is getting closer. 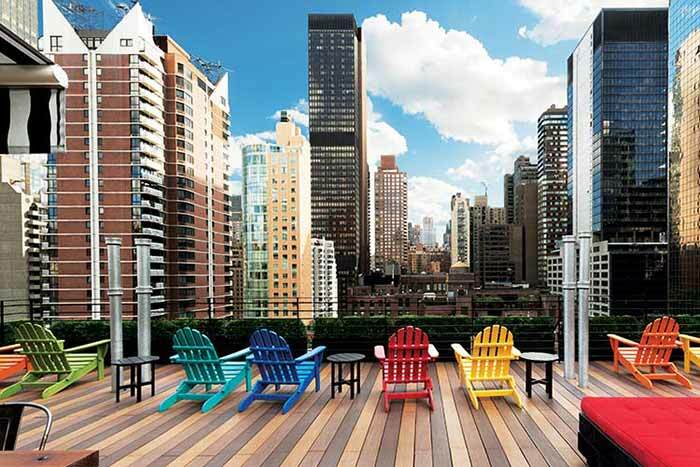 Soon all the mighty and luxurious terraces will start to open up in the biggest cities. All the way from Ibiza to Stockholm. Europe has a wide selection of rooftop bars. Cozy, luxurious, party friendly, calm, small, big and so forth. There’s something for everyone. There are several big cities in Europe that have some of the world’s coolest rooftop bars. If we have to pic 5 of them it would be Barcelona, Rome, London, Istanbul and Lisbon. Here’s some short info of these cities rooftops. Barcelona is probably the best city in Europe when it comes to rooftop bars. 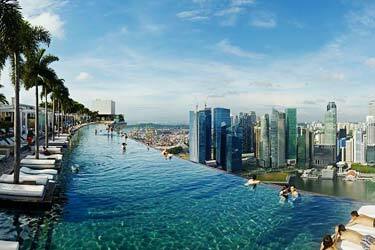 Fantastic venues, infinity pools, good prices and big terraces. 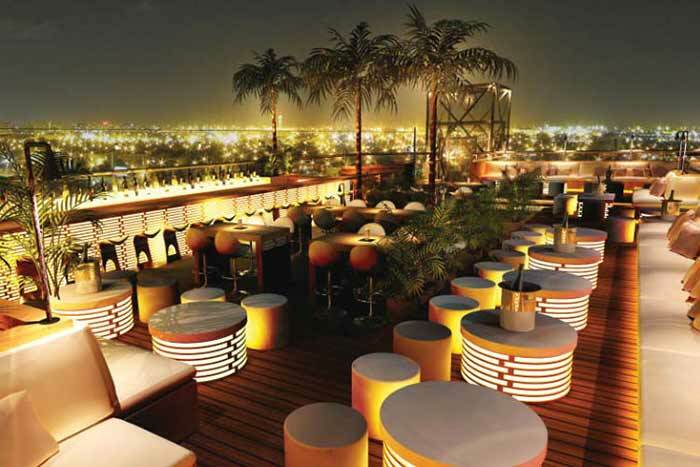 The roof terraces here are very popular so make sure to make a reservation or be there in good time. 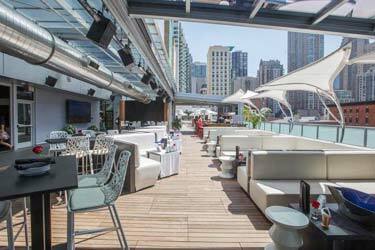 If you love a nice lounge, you must check out Majestic’s rooftop bar. 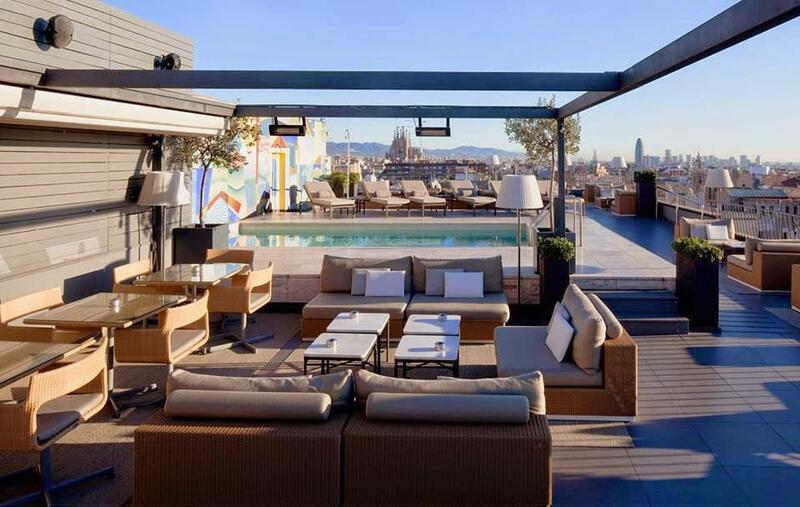 Here’s more info about Barcelona’s rooftop bars. 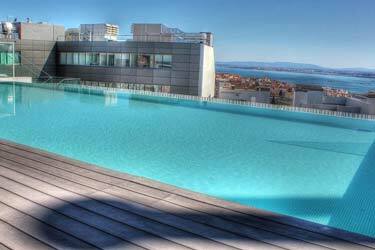 Rooftop season in Barcelona: April – October. Rooftop bar Majestic in Barcelona. Rome have some wonderful rooftop bars. Most with cozy décor and tasty food. 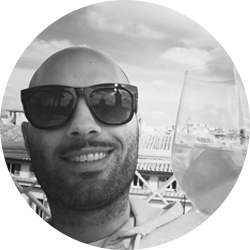 The best thing to do here is to eat lunch at the rooftop with some pasta, red wine and Prosecco. Hotel Raphael is a perfect place for this. From most of the terraces you get mighty vies over the Rome skyline and most of the historical buildings and monuments. 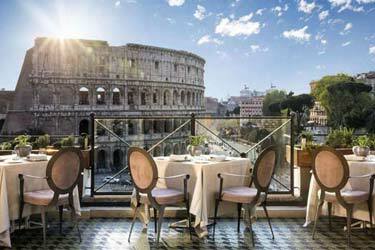 Here’s more info about Rome’s rooftop bars. Rooftop season here in Rome: April – October. 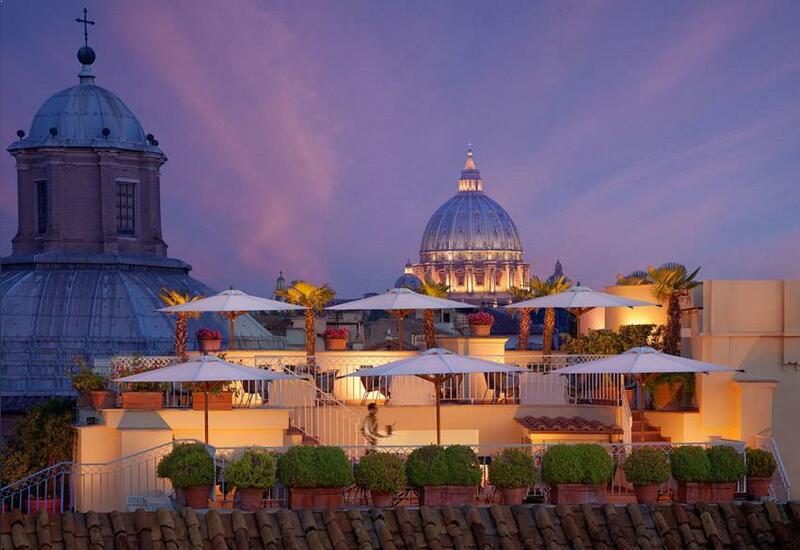 Rooftop bar at Hotel Raphael in Rome. 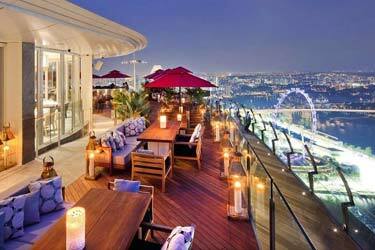 London have some really cool and luxurious rooftop bars. Despite the shaky weather in England there’s a big variety in different styles. Some with super luxury and others quite simple ones. From most of the terraces you get magical views over London’s buildings and famous monuments. Don’t miss to have a lunch at Sushisamba with London’s best view! 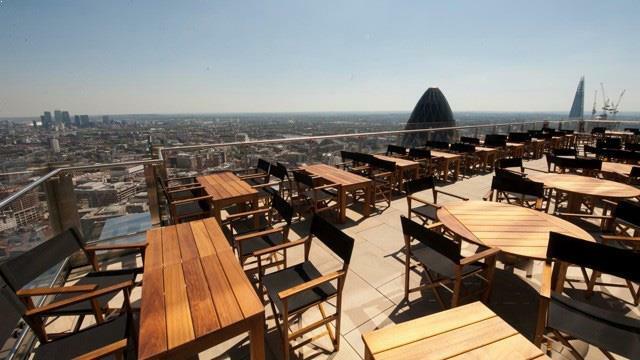 Here’s more info about London’s rooftop bars. Rooftop bar Sushisamba in London. Istanbul have some really nice rooftop bars at high altitude. Often with breathtaking views over the city and the Mediterranean. If you like delicious food and party then there are plenty of good options. One that have it all is Mikla at Marmara Pera Hotel. Come here to enjoy drinks and food to one of Istanbul’s best views. 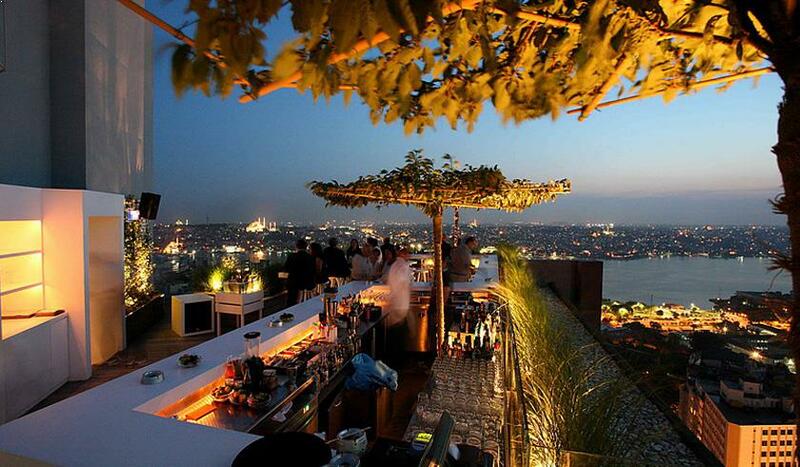 Here’s more info about Istanbul’s rooftop bars. Rooftop bar Mikla in Istanbul. 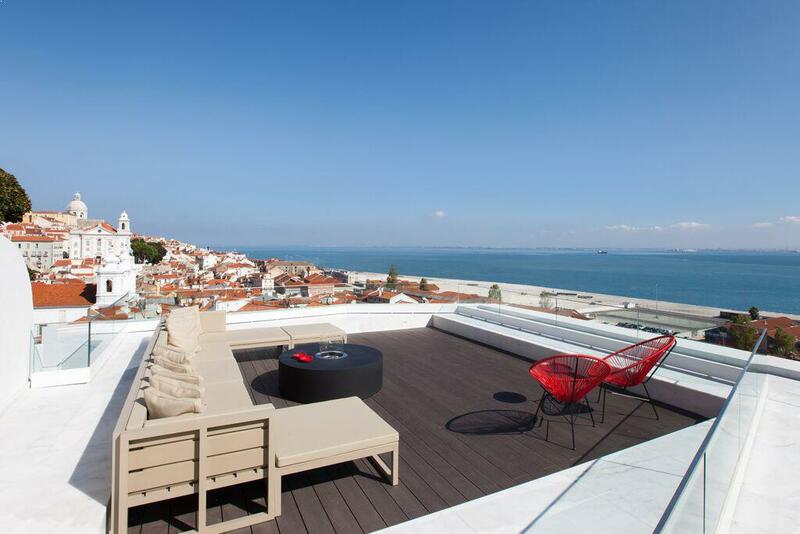 Lisbon’s warm climate can hold the rooftop bars open almost all year long. 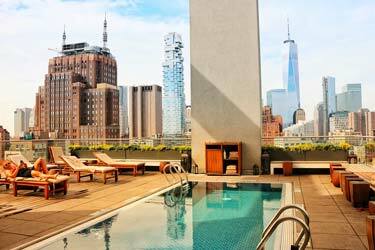 The views from the terraces are often quit magical with amazing venues of the Atlantic Ocean and the cities rooftops. The felling is very cozy with a little bit smaller areas with nice décor and furniture’s. 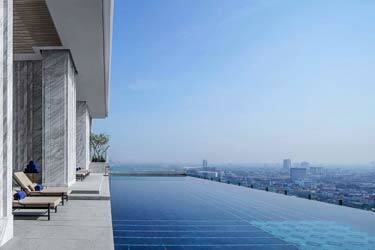 But there’s also luxurious ones with swimming pools and a more futuristic design. Here’s more info about rooftop bars in Lisbon. Rooftop bar Memmo Alfama Terrace in Lisbon.